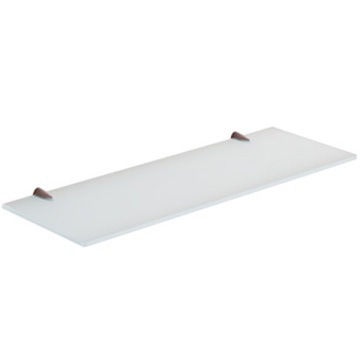 This 18 inch ultralight wall mounted frosted glass shelf will hold up to 12 pounds in style. The brackets are forged from Cromall alloy for great corrosion resistance and strength. The satinized ultralight glass shelf has rounded outer corners and is 6 1/2 inches deep. From the Gedy Shelves collection.